English File: Poetry Backpack: William Blake. G. E. Bentley, Jr., is the editor of Vala (1963), Tiriel (1967), and William Blake’s Writings (1978). A. A. Gill is an award-winning columnist for The Times of London and the author of Sap Rising, a satirical novel. Michael Phillips, formerly British Academy Research Reader in the Humanities at the University of Edinburgh, is completing a biography of Blake during the early 1790s, in part anticipated in “Blake and the Terror,” The Library (December 1994) and more recently in lectures given in France, the United States, and Great Britain. Another related paper has just been published in XVII-XVIII Bulletin de la Société d’études Anglo-Américanes des XVIIe et XVIIIe siècles, no. 44 (June 1997). His edition in facsimile of Blake’s manuscript of An Island in the Moon was published by Cambridge University Press in 1987, and William Blake Recherches pour une Biographie with a preface by Yves Bonnefoy was published by the Collège de France in 1995. 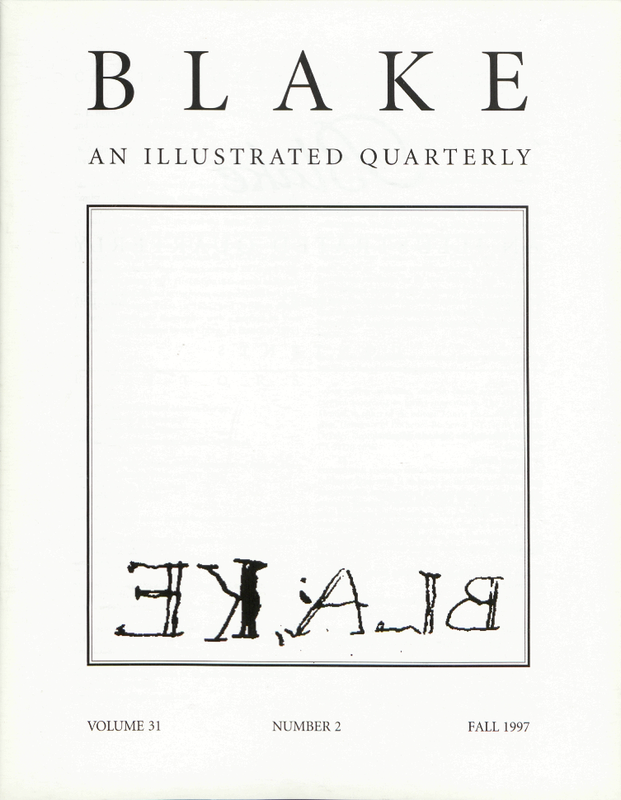 BLAKE /AN ILLUSTRATED QUARTERLY is published under the sponsorship of the Department of English, University of Rochester. MANUSCRIPTS are welcome. Send two copies, typed and documented according to forms suggested in The MLA Style Manual, to either of the editors: Morris Eaves, Dept. of English, University of Rochester, Rochester, NY 14627; Morton D. Paley, Dept. of English, University of California, Berkeley, CA 94720-1030. Cover illustration: Sophocles MS f. 116r. “BLAKE” in mirror-writing. Courtesy of Bertram Rota, Ltd.